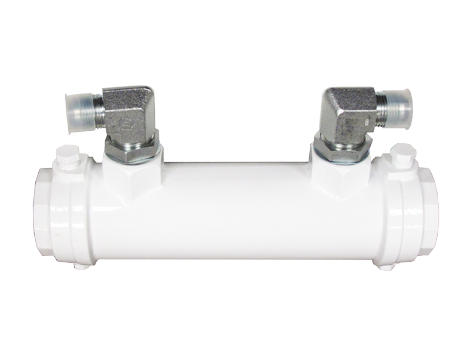 Customizable, and designed to expand to meet all your hydraulic functions. 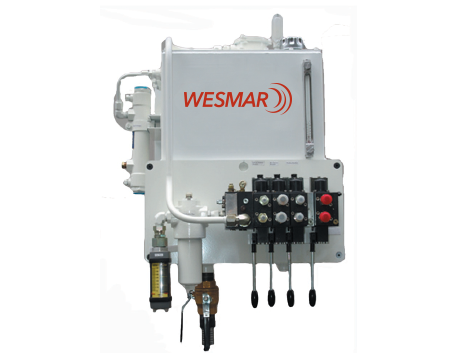 WESMAR Hydraulic Systems are customizable and designed to complement WESMAR's products. They are a powerful and reliable solution to hydraulic operation and control. Wesmar's central hydraulic systems are integrated to support our thrusters, stabilizers, as well as other hydraulically operated vessel systems such as: Windlasses, capstans, cranes, hydraulic water pumps, hydraulic generators, hydraulic alternators, Wesmar APU systems, as well as other hydraulically driven systems. Wesmar tailors a hydraulic system solution to meet the requirements of each vessel. We use quiet and high efficiency hydraulic load sense piston pumps and can mount to an existing PTO (power take off) on the main engine, generator or marine gear. We can also design an AC power-pack to run the above pumps from an existing generator. Wesmar's hydraulic systems can be upgraded at any time to add other hydraulically operated systems with an upgrade of a hydraulic control valve. The central hydraulic system includes a 3-inch cooler, that is operated from 8-20 gpm of water flow, for protection from overheating with continuous thruster use. We can also supply hydraulic low-level sensors and hydraulic oil temp alarms for additional operation protection. 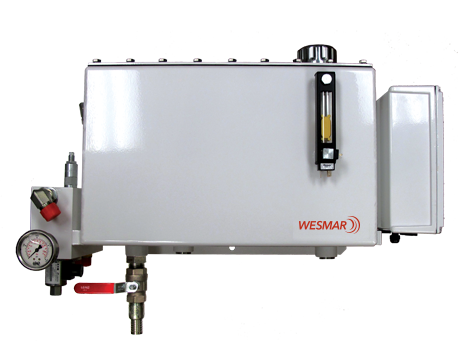 Wesmar's hydraulic systems each come standard with a Pressure Gauge and Flow Meter for monitoring correct flows and pressures to each hydraulic system. Hydraulics can operate with proportional controls for exact and precision operation of each product. Our hydraulic systems are Installed on 1000's of vessels around the world and are backed by our extensive dealer network with worldwide coverage. A typical hydraulic system can operate WESMAR's bow and stern thrusters, WESMAR stabilizer systems, WESMAR APU systems, windlasses, winches, cranes, davits, hydraulic doors, hatches, passerelles, ladders or steering gear. 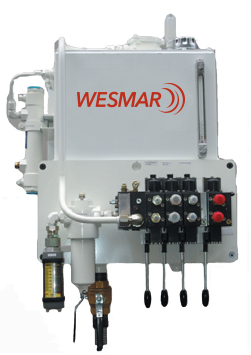 The design of WESMAR custom hydraulic systems allow for the easy addition of other hydraulic functions at any time. WESMAR hydraulic systems come fully documented and include both isometric and schematic drawings. Systems are pre-tested and calibrated for flow and pressure.